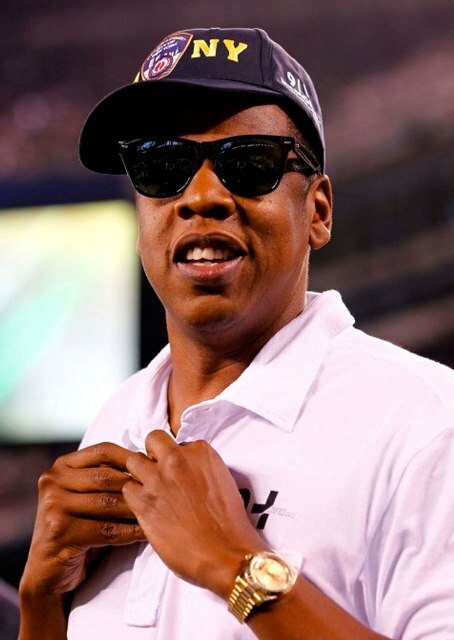 Jay-Z is known for his expensive taste and luxurious lifestyle. You will often find Jay-Z wearing a Rolex Day Date, one of the most expensive Rolex’s created. He owns one in both gold and platinum. Clapton is known as a collector of fine watches, particularly vintage Rolexes. In fact, Clapton was one of the few who owned “the Yacht-master Daytona.” This extremely rare Rolex watch was only a prototype, and not available to the public. The extremely generous Eric Clapton auctioned off this, along with many of his other Rolexes, and donated his earnings to charities. Clapton still owns many fine Rolex’s, and can be seen below sporting his Rolex GMT Master. 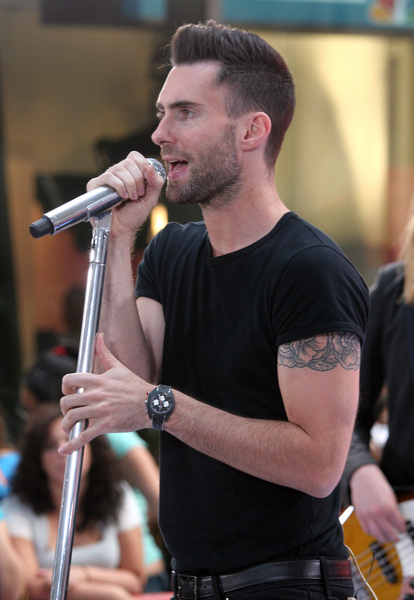 Costing him a whopping $40,000, Maroon 5’s lead singer, Adam Levine, is the proud owner of a Rolex Daytona 6263. The Daytona 6263 was Levine’s first luxury watch, a fine choice as it is one of the most sought after and rare Rolexes available. The “bad gal” is known for her expensive taste, so it’s no wonder that she loves Rolex. Owner of at least four Rolex watches, Rihanna rocks her Lady Datejust 26 mm in yellow gold on the cover of Complex and Rolling Stone. This watch features a champagne colored dial, diamond bezel and hour markers. It is no wonder that the pop princess made the Lady DateJust her watch of choice for her photo-shoots. Daniel Craig usually chooses one of his seven Rolexes when he puts on a watch. 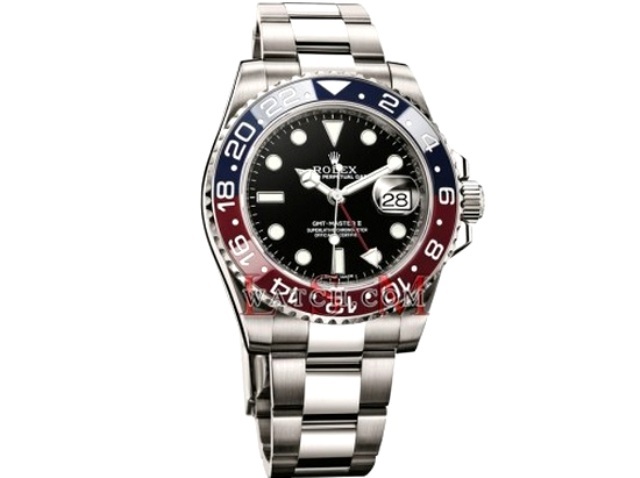 His latest addition to his collection is the Pepsi Rolex GMT Master, which cost him approximately $6,500! Formerly known for her affiliation with Disney and leading role on High School Musical, Tisdale has been aiming to be taken more seriously as an adult actress. She has upped not only her acting career, but her sense of style. Tisdale is the proud owner of a gold Rolex. Paul Newman was an avid Rolex fan, owning at least five Rolex watches in his lifetime. In fact, Newman was so closely associated with Rolex that they created models of the watch known as the Paul Newman Daytona. Aniston is often seen wearing one of her many Rolex watches. She is an avid fan of Rolex and owns a Gold Rolex Presidential, and a Rolex Datejust. Her Rolex President was actually designed for men, but we think she rocks it better! Vergara, most known for her roll on Modern Family, wears a 18-karat yellow gold Rolex Daytona. Her Daytona features a black dial, hour markers made of diamonds, and a 40mm case, pricing it at $37, 450. Rapper and style icon Kanye West is a aficionado of luxury goods. He owns more than one Rolex undoubtedly, but the one that stands out the most is his customized, blacked-out Rolex Submariner. This watch features an all black design, with details, such as the hour markers, creating a high contrast in white. West has been spotted rocking this watch from the studio all the way to the airport. The crown is an extremely fitting logo for this company as they are nothing short of royalty in the world of luxury watches. Rolex has continued to be a statement piece for generations, and will trickle down to the wrist of the new generation of leaders, visionaries, and rock stars, continuing its legacy as the most innovative, sought after luxury watch company in the world. Rolex is like an investment, totally worthed!!! Wow! You surely know quite a bit on who's the collector of Rolex watches. It's really an investment to own 1 thou. Exclusive brand. Almost tempted to buy at Switzerland. Then chose another brand close to Rolex. I would love to own a Rolex some day. Rolex is a beautiful watch you could sport with any outfit is also a brand that wont fade. Rolex is the best foe watches. I love Rolex, the best watches! haven't had a rolex watch..probably will soon. I know quite a few people who find great pleasure in watches - I personally don't really get it though. Very nice photos, and Rolex is a very fine quality! Rolex watches are expensive yet it's worth it.. And I guess if I'm going to have one and when I go broke, I'll probably sell it or pawn it instead hihi..
Have a great day, Shirley! so many wearing Rolex ya. Kylie Jenner was just given one as a High School graduation gift. It's a very cool trend Shirley. My husband bought me a Rolex for my 30th birthday and I wore it everyday for years...until my little boy came along. I only wear it on special occasions now. I would like to get one for me in the near future. I don't like rolexso much, but it's definitely a status symbol! Celebrities can afford Rolex with no issues at all. A class of its own - that's what Rolex is to me. Would be amazing to own one.